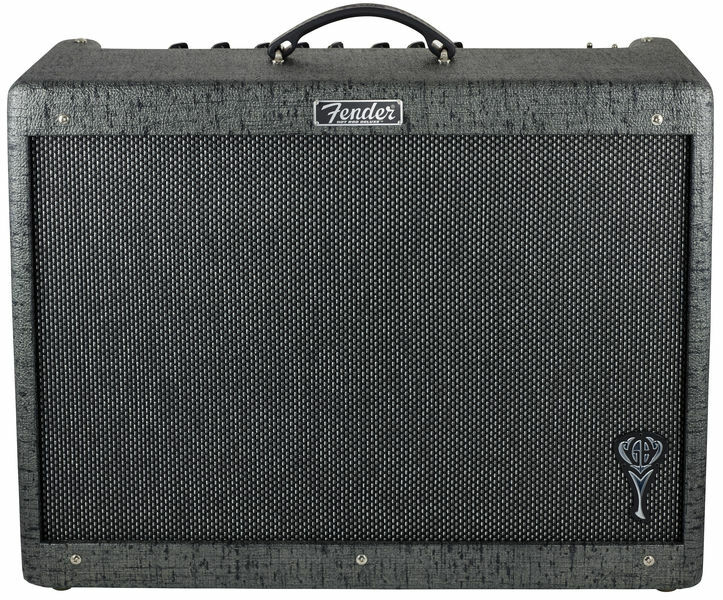 Guitarists of all kinds play through Fender Hot Rod Deluxe™ amplifiers. Rockers, pop stars, cowboys and more all agree that they deliver unmistakable Fender tone—perfect amps for crafting your own sound, and extremely responsive to your favourite stomp-box effects. 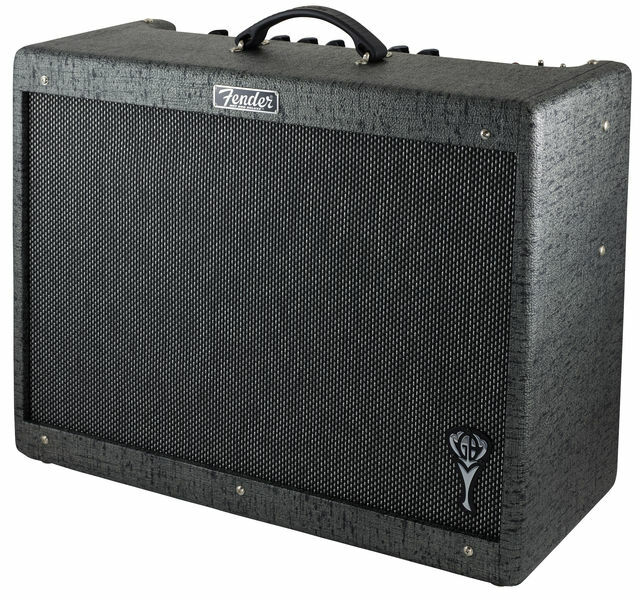 The GB Hot Rod Deluxe™ is a 40-watt 1x12" combo especially fine-tuned for world-famous jazz guitar virtuoso and pop artist George Benson. 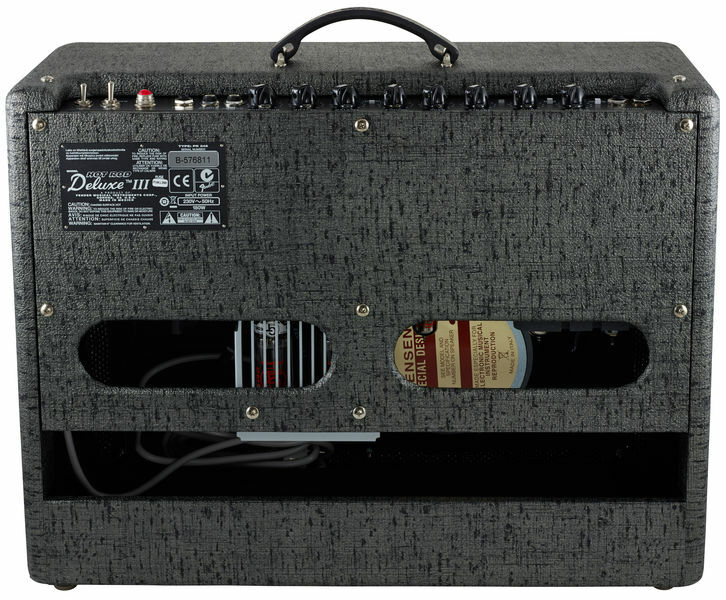 It has the full bottom end characteristic of 6L6 tubes, and a versatile all-tube preamp—including a 12AT7 up front for cleaner tone; especially with humbucking pickups. A 100-watt Jensen® C12K speaker handles the immediacy of Benson’s singing soloing style with clarity and range, and the solid-pine cabinet increases tonal resonance while reducing weight. 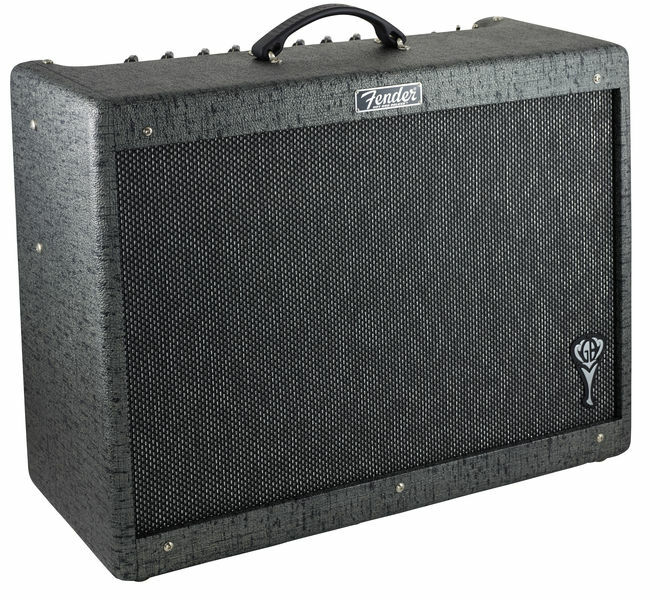 Standard features include clean and "drive/more-drive" channels, resounding Fender spring reverb, effects loop and more. Personalized exterior touches specified by Benson himself include gray-black vinyl covering, silver-strand grille cloth and "GB" logo badge. Road-worthy deluxe padded cover and two-button footswitch included. Separate matching 1x12" extension enclosure (part number 223-1400-000) adds output, fullness and stage coverage.